With the re-launch of our newly-revamped Takashimaya outlet, we are thrilled to unveil new collections that are designed with the modern woman in mind — to celebrate her style, her individuality, her light, as well as to serve as a wearable reminder to have fun, to live her best life. 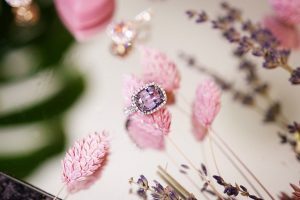 This month, we’d like to introduce you to the Prism collection Each piece in this vibrant collection is thoughtfully crafted with beautiful gemstones like the amethyst, tourmaline and quartz — all of which are custom-cut to precision so that perfect, clean geometric lines conspire to form a prism capable of catching and reflecting light in the most brilliant manner. The stones are then skilfully set in white gold with a sprinkle of diamonds to add a little extra sparkle. Stylish yet timeless. Versatile yet always a minimalist at heart. Simple yet elegant. How you shine is up to you, darling. The Prism collection is available at The Canary Diamond Co, Takashimaya Level outlet.